The Beehive, production still. Photo by Hugh Hamilton. The Beehive will have its Sydney Premiere at UNSW Galleries, as part of The Sydney Festival, in January 2019. For more in formation visit The Beehive – Sydney Festival. “I began to realise that if I was getting into so much trouble—owning my own house and a newspaper—what hope would a pensioner have?” Juanita Nielsen, 1973. The Beehive will tell the story of Juanita Nielsen — a community journalist and anti-gentrification activist known for her distinctive beehive hairdo. Juanita fought for the right of low income communities to live in the inner city of Sydney, particularly in Kings Cross and Woolloomooloo. 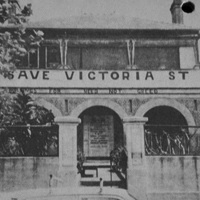 She campaigned against the violent eviction of long term tenants on Victoria Street who were being pushed out to make way for apartment blocks. She vanished in 1975, ‘believed murdered’. To this day, the crime remains unsolved. Despite an enduring public fascination with Juanita Nielsen over four decades, only two feature films have touched on her story – neither included a character actually called Juanita. The Beehive will fill this void by telling Juanita’s story. The Beehive won the inaugural $70,000 ACMI and Artbank commission and will premiere at ACMI in the latter part of 2018. This is a huge vote of confidence for the vision of the team and a large amount of money for a visual arts project – but it is just short of what we need to complete the film at the quality it deserves. We have launched a crowdfunding campaign to raise money for the post-production process – colour grading, audio mastering, music composition, titles and marketing. We have a huge range of wonderful perks to offer in return for your support – from unique 1970s costumes, original drawings, satin bomber jackets, tees, silk scarves and wonderful memorabilia from this vital story. 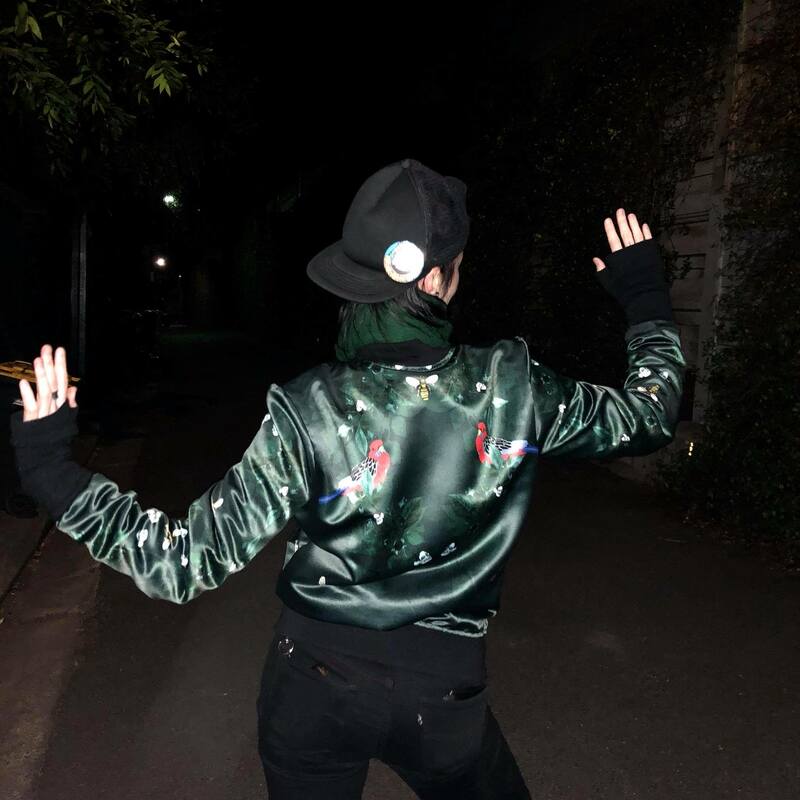 The City of Ladies Satin Bomber Jackets are one of the rewards you can pick up by supporting The Beehive. To support the campaign click here. In July 1975, Juanita Nielsen—editor of NOW, resident and opponent of real estate speculation in Kings Cross, vanished. The Beehive, directed by Zanny Begg, will be an experimental documentary exploring the implications of this unsolved case for Sydney NOW. Seeking female identifying applicants of any background or nationality to audition for the part of Juanita Nielsen in a video work “The Beehive” premiering at the Australian Centre for the Moving Image (ACMI) in 2018. Previous acting experience is a bonus but not essential if passionate about the aforementioned any of the above issues. Please send a short CV and a one min video introducing yourself to: thebeehive2018@gmail.com. Closing date for applications is March 10. All those called for audition will be paid a small fee, some will be offered larger roles in THE BEEHIVE. Please note that this is a video art installation, and low budget. Professional hair and make-up personnel will be available for the audition and applicants must be willing to have their make-up done and have their hair styled into a beehive or be fitted with a wig. 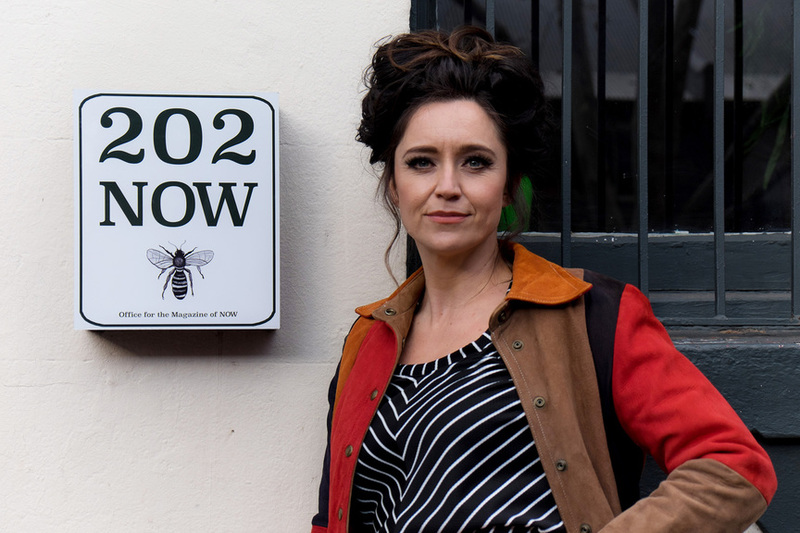 Zanny Begg has been announced as the inaugural recipient of the Australian Centre for the Moving Image (ACMI) and Artbank new film work commission for 2018 for her proposal The Beehive. She is collecting stories about Juanita Nielsen, Kings Cross and development and the city, if you have any information to share please contact thebeehive2018[at]gmail.com. Juanita Nielsen, Sydney anti-development campaigner, vanished on the 4th of July 1975, her body never found, her murderers never charged. 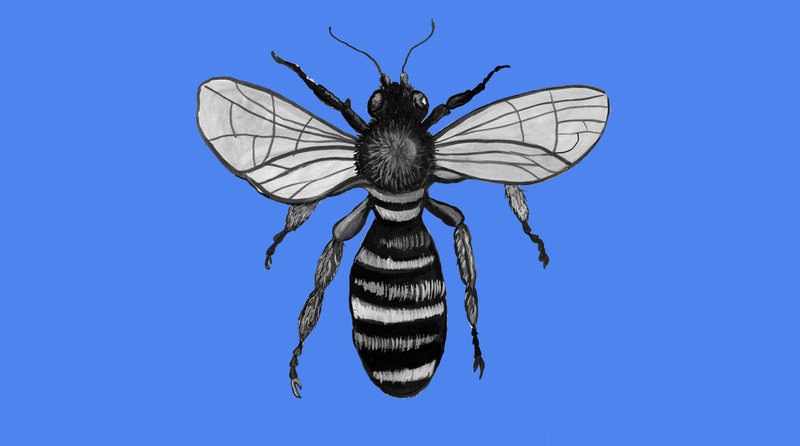 The Beehive will be a non-linear video installation randomly compiled from a reservoir of material exploring the implications of this unsolved case. The installation will engage with a violent historical incident, but aims to work this moment across time to look at gentrification, affordability and urban diversity today. While The Beehive will tell a story of Sydney the dynamics at play in Kings Cross form a crucial part of Australian culture and will serve as a timely intervention into broader discussions over the “right to the city” at a national and international level. The issues faced in Kings Cross are similar to those in the St Kilda, the Reeperbahn (Hamburg), The Valley (Brisbane) or any red-light district in any major city in the world. 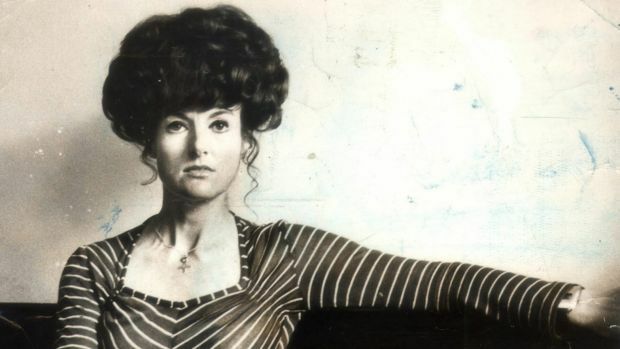 The Beehive, the title of the project, is a reference to the famous hairdo worn by Juanita Nielsen but also an archetypal metaphor used to describe human cities. In classical times the beehive was seen as a hierarchical and densely industrious hub; in pre-Christian symbolism, the beehive was a dark cooperative womb guided by powerful queen. This clash between utilitarian modernist and feminine anarchic interpretations of our cities will provide a poetic tension that will flow through the project. The City of Ladies, in all its 300,000 variations is on display at The Museum of Contemporary Art 30 March – 18 June 2017 as part of The National: New Australian Art. Each 20 minutes the film is randomly generated from a pool of files creating new story combinations and possibilities. The film is loosely based on the fifteenth century book of the same name, by Christine de Pizan, considered a foundational text for Western feminism. This troubles me, as I loved it dearly. But then I stopped crying. Weighted by the gender inequality of the time, Christine de Pizan, an Italian migrant in France and arguably the mother of present-day western feminism, imagines a didactic feminist utopia in Paris. The Book of the City of Ladies describes a cataclysmic time in France, caught in much political and social unrest. Zanny Begg’s new film collaboration with Paris-based film director Elise McLeod, The City of Ladies (2017), is influenced by Pizan’s seminal text and deals with parallel narratives. Centuries later, it seems that not much has changed for Parisian women. Paris is a contested city problemetised by class, arrondissements, race, religion and gender. Here, seven films are imagined by young French women from various ethnicities, including Cambodian, Algerian and Tunisian, to create a utopic dystopian dreamlike filmic fiction informed by their personal lives. Each screening of The City of Ladies will be generated randomly in a different order by software programmer Andrew Nicholson, offering variant perspectives. Begg is an arch manipulator of negotiating multiple contexts, histories and narratives through the medium of film. 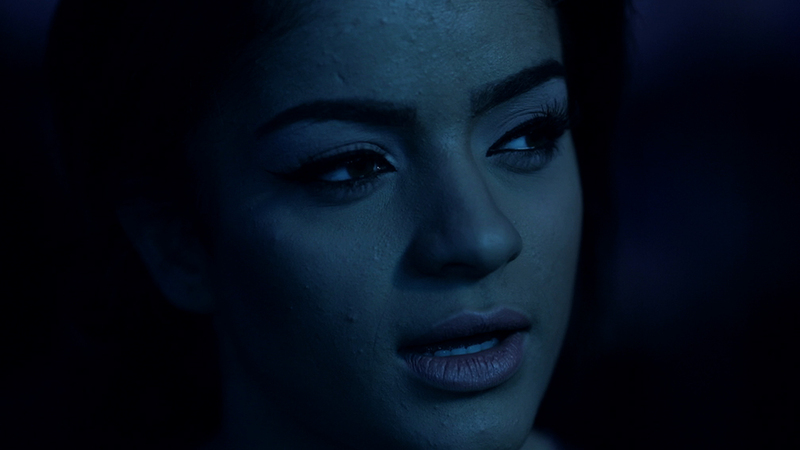 Her 2015 film 1001 Nights in Fairfield reconfigures the West Asian folktale for the Western Sydney suburb of Fairfield via an Iraqi choir, charting migration and creating home in a surreal film shot through a stunning blue lens. 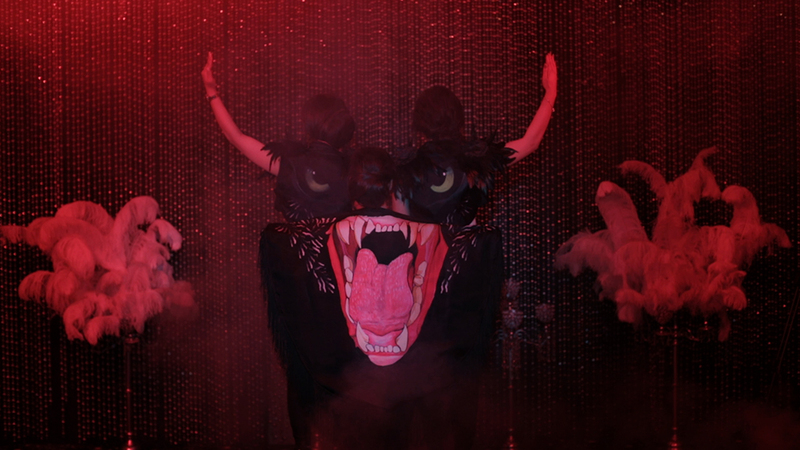 The City of Ladies contains choreography of gestures from the Nuit Debout political movement set to the song ‘Who Loves the Devil’, which was performed during the Bataclan theatre massacre in 2015 in Paris. This version, covered by the Sydney post-punk band Mere Women, proposes new engagements with the lyrics. Another storyline charts a French Muslim woman’s life as seen through the prism of Joan of Arc’s appropriation by the far right and the triumphant French feminism informed by empire, as personified by the burqa ban. But what’s in the film for a man living in Sydney in 2017 with multiple roots in the UK and Sri Lanka? I am not a woman. I am a male feminist. ‘A male intruder in the hive’ reads a review from a major British newspaper that references my early career as the first male dancer in an all-female contemporary dance company informed by classical Indian dance. While it’s important to let the aggrieved persons define racism, nationalism and sexism, any real change is only possible when it engages the other. The strength of Begg’s film is defined by its invitation for men, women and all genders in-between and beyond to reimagine 21st-century Paris in terms of how we perceive belonging in a world undergoing such transformation, no different to 14th-century France. After all, we are in it together. WITH THE PARTICIPATION OF HÉLÈNE CIXOUS, SILVIA FEDERICI, SAM BOURCIER, FATIMA EZZAHRA BENOMAR and SHARONE OMANKOY. Nothing else but cant, instructions to Anya Rosen for a paired work for the Cartography of Imagined Places, a project between New York and Sydney, curated by Alex Wisser and Sarah Breen-Lovett (Sydney) and Jill O’Bryan (New York). New York, January, 1916, Emma Goldman delivers a lecture advocating a women’s right to control her fertility. 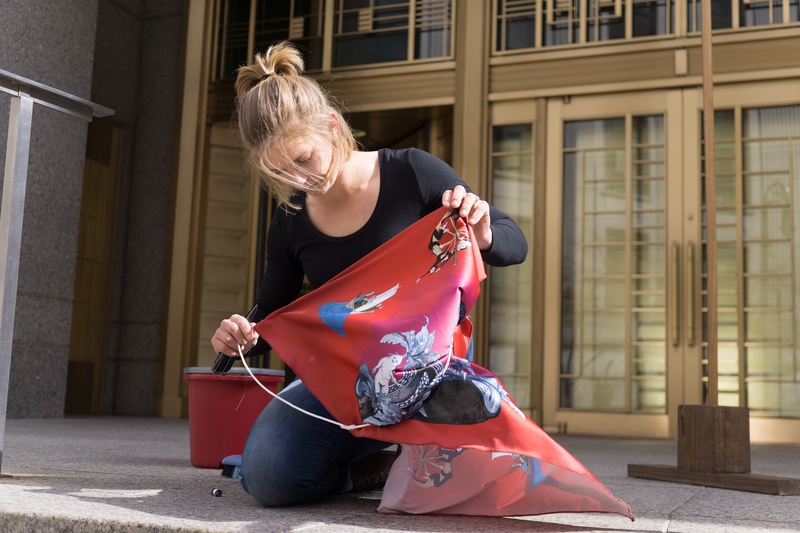 She is arrested and spends 15 days scrubbing floors and sewing prison garments in Queens County Penitentiary. New York, January, 2017, America gets a new President. This action honours the continuing struggle for a women’s right to control her own body. We are told that so long as the law on the statute books makes the discussion of preventives a crime, these preventives must not be discussed. In reply I wish to say that it is not the Birth Control Movement, but the law, which will have to go. After all, that is what laws are for, to be made and unmade. How dare they demand that life shall submit to them? To read a blog about the project click here. Photos by Panos Rigopoulos, performance by Anya Rosen. 1001 Nights in Fairfield was announced as the winner of the 2016 Incinerator Art Award: Art For Social Change last night at the opening of the annual exhibition at the Incinerator Gallery, Moonee Ponds, Melbourne. Zanny Begg received $10,000, half of which she will share with the Choir of Love, the subjects of the film. The award was judged by Dr Vincent Alessi, Senior Lecturer of Creative Arts at La Trobe University, Hannah Mathews, Senior Curator at Monash University Museum of Art and Jason Smith, Director at Geelong Gallery. 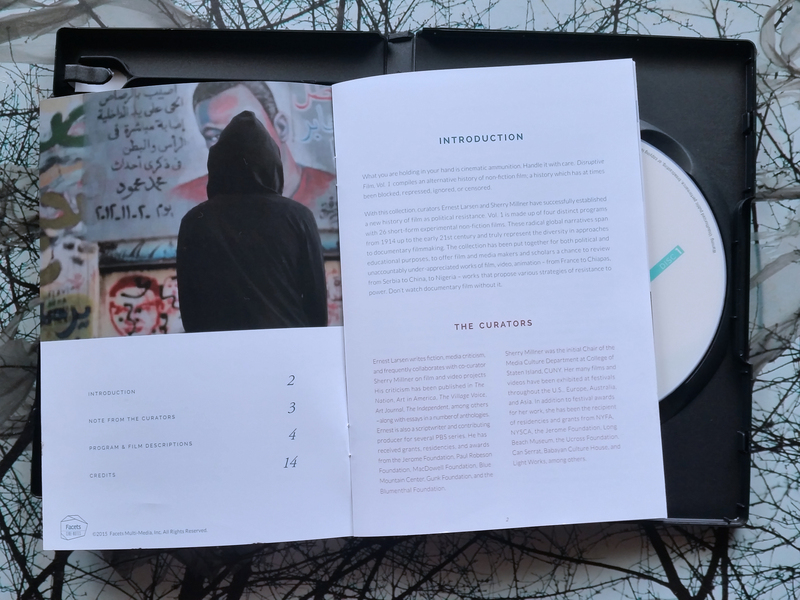 1001 Nights in Fairfield / الف ليلة وليلة في فيرفيلد was produced in collaboration with the Choir of Love through a residency with Powerhouse Youth Theatre Fairfield and STTARS (Service for the Treatment and Rehabilitation of Torture and Trauma Survivors). The project engages with the politics of storytelling by loosely referencing Scheherazade’s struggle, in One Thousand and One Nights , to prolong her life by entertaining a murderous King with a series of inventive cliffhangers. The film combines documentary, imaginary sequences and improvised fictions to explore the pressure, and power, of telling a story to survive. The exhibition included the work of 36 artists: Lachlan Anthony, Zanny Begg, Peter Burke, Peter Cheng & Molly Biddle, Kevin Chin, Catherine Clover, Perran Costi, Adam Cusack, Gabrielle de Vietri, Julia deVille, Lauren Dunn, Kailum Graves, Matthew Greaves, Paul Handley, Deanna Hitti, Dominic Kavanagh, Deborah Kelly, Bridget Kennedy, Laresa Kosloff, Kristian Laemmle-Ruff, Ashlee Laing, Ben Landau, Sonia Leber & David Chesworth, Jorge Mansilla, Elyss McCleary, Sarah McEwan, Shane McGrath, Kent Morris, Salar Niknafs, Lani Seligman, Nola Taylor, Frank Veldze, Elvis Richardson & Virginia Fraser, Louisa Wang, Dianna Wells and Bethany Wheeler and will run from 14 October – 3 December. This extraordinary collection informs and inspires. Spanning the history of cinema it demonstrates the remarkable power of film to engage, move, provoke and contend. It’s a vital reference tool and instructive resource – Bill Nichols. Disruptive Film Everyday Resistance to Power Vol 1, curated by Ernie Larsen and Sherry Millner has been released. A great collection including the work of Zelimir Zilnik, Martha Rosler, Chto Delat?, Ariella Azoulay and Oliver Ressler and Zanny Begg’s The Right of Passage (2013). The curators are interested in establishing a series on the history of film as a form of resistance. The collection is released trough Facets Media. To buy a copy click here. 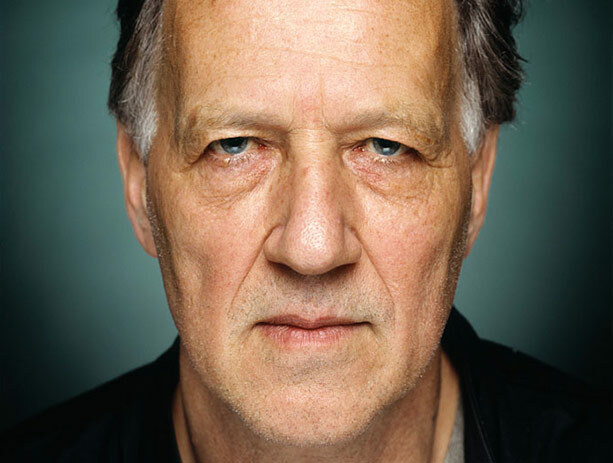 Werner Herzog doesn’t dream, a condition that might explain his daunting output of films. He postulates that the nighttime void is compensated by ideas for films that light up like imaginary projections he can capture into rapid-fire scripts and screenplays. His latest feature film, Queen of the Desert, was written in 5 days with no revisions or edits – it floated before him like a waking dream. For the last four days I have been part of the Rogue Film School a wandering and erratic workshop that brings together 50 hand picked filmmakers with one of the very great legends of film. The work begins with a session on lock picking, the patient art of which was ably demonstrated by his articulate and charming son Simon. The invitation to break through locked doors was justified by our “Natural Right to make films” (which sounds so much better in German) a right Werner argues overrides the petty confines of bureaucracy and law. Over the course of our school he recounted numerous stories of forgery and quasi-criminality that moved ships across mountains and enabled films to be made. 1001 Nights in Fairfield, 2016. Film selected for inclusion in the Rogue Film School. Werner describes himself as part of the first generation of German filmmakers who were able to forge a vision for film after the destruction of WWII. Theodor Adorno famously argued that “to write poetry after Auschwitz is barbaric”. For Werner poetry became the only answer to the barbarism of the world. In his eyes poetry is not only words on a page, but the scrawl of smoke from a volcano or the cryptic lines drawn by wandering feet on soil. Werner recounted how he walked the boundaries of Germany on foot after Chancellor Willy Brandt had (erroneously) told the population that the possibilities for reunification had been closed – a solitary attempt to heals the wounds of his country. A gesture he was able to reflect upon and share with people in North Korea, still caught in a divided country, during the making of his new film on volcanoes. Werner is a deeply intuitive filmmaker. During the school he made the extraordinary (and perhaps unbelievable claim) that his recent film on the internet, Lo and Behold: Reveries of the Connected World, was made without “any research”. While this may seem to defy the logic of the film’s subject matter it was also refreshing to hear how his love of classic literature could be as significant a form of inspiration for contemporary film making as google or wikipedia. One amazing aspect of the school was the live collaboration between Werner and Ernst Reijseger who improvised a rough soundtrack to his upcoming film on volcanoes as we watched on. The found footage of Mount Eyjafjallajökull spewing forth black smoke morphed before our eyes into the emotive soundscapes we have come to associate with Werner’s films: all that was needed was the slow German accented voiceover of Werner musing on the power of nature. Walking was a common theme for the workshop. For Werner travelling by foot puts you “in the world” and provides periods of necessary loneliness that allow films to germinate. Over the weekend he described many journeys by foot including the beautifully poetic gesture of walking from Munich to Paris to see his mentor Lotte H. Eisner for one last time before she died. The journey was urgent but he walked hoping to prolong her life by delaying his arrival. The workshop was not without its own rogues of the Rogues. The required list of films that we had to watch and Werner’s personal selection of Rogue films to share came with a major blind spot. After three days of watching films made exclusively by men (mostly North American and European) we eventually rebelled and a passionate discussion broke out about diversifying our vision of film. Werner argued the identity of the director was irrelevant but was overrun by our demands to watch a film made by a woman. Catherine Fordham’s Consume, a sexual assault revenge fantasy, aptly demonstrated how female directors might show us different worlds. Promises were made to consider the reading and film list if another Rouge School is held. The school had three main lessons: never complain, do the doable and take revenge. The first two came with such incredibly wild stories (a crew member, for example, cutting his own foot off with a chainsaw to survive a snake bite) they made complaining seem petty and the doable extraordinary. The last came with useful tips on small-scale sabotage and the destructive power of superglue. The 2016 Rogue School was a very special chance to talk with Werner about how he makes film. It was also an amazing insight into how new artists, from a diversity of backgrounds, are picking the locks on filmmaking. 1001 Nights in Fairfield has been shortlisted for the Blake Prize for Religious Art at Casula Powerhouse Museum, Sydney, 2016. In the lead up to the prize the film has been in the media, below is an article in the Australian, December 9, 2015 and the Fairfield Advance, December 9. It was 2003, the year that the US invaded Iraq, when eight-year-old Yousif Yousif was kidnapped by men whose names he never knew. He was taken while walking home from school in Baghdad and tortured for three days. Now 20, Yousif calls Australia home. He is a Chaldean Syriac refugee, a survivor who finds solace through hymns and music with an Iraqi Christian choir in Fairfield in southwestern Sydney. “It was three days, but it felt like three years,” Yousif says. He doesn’t know his torturers. He didn’t ask. He describes some of his harrowing ­experiences in a work by Sydney filmmaker Zanny Begg, 1001 Nights in Fairfield, rec­ently shortlisted for the $35,000 Blake Prize for religious art. Through documentary, imagined sequences and improvised fiction, it ­explores the power and the pressure of telling a story to survive, says Begg. The essence of the Arabic classic One Thousand and One Nights is how one woman, Scheherazade, entertained a murderous king by telling him stories nightly to avoid being executed come morning. “It’s amazingly empowering, but it’s also a pressure — it’s kind of the same position we put refugees in. You have to tell a story as a refugee; they are made to tell ­stories all the time,” Begg says. Similar stories of abduction and extortion are told by refugees from the Choir of Love in 1001 Nights in Fairfield. The suburb is home to many of Iraq’s Christian minority refugees. Iraq’s turmoil is often portrayed as a war between Islam and the West, but it goes beyond that, Begg says. Cultural diversity in Iraq is under threat, including that of the Assyrian, Chaldean, Syriac, Armenian and Mandean minorities. “It’s very traumatic and very relevant to today; a lot of them were kidnapped by Islamic State, their families were extorted for money,” she says. The film intertwines the musical tradition of Arabic maqam to relay stories of love, war and exile. Christian, Muslim and Jewish com­munities in Iraq historically embraced maqam. “They had a dialogue through music, not one of hostility, but shared stories and shared spaces produced in the coffee houses,” Begg says. Choir of Love founder Bashar Hanna, a former refugee, says more recent arrivals from Iraq and Syria have been joining the group, established in 2004 to help the cultural survival of new arrivals from Iraq. The choir works with the NSW Service for the Treatment and Rehabilitation of Torture and Trauma Survivors.